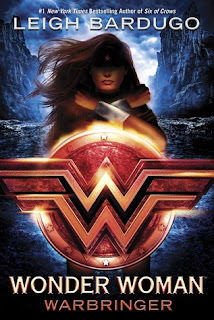 This month, I'm featuring Wonder Woman: Warbringer by Leigh Bardugo! Many of you are probably very familiar with this book - it's one of the biggest titles of the summer, and with an amazing author at the helm. It's a fantasy novel set in modern times, following the adventures of teenage Diana of Themyscira. When Diana saves a human girl from drowning near Themyscira, the whole island is thrown into chaos. Illness, earthquakes, and chaos - all of which would get worse, the longer the girl (Alia) was on the island. Today's topic is one that I've had since a certain natural disaster happened a few weeks ago, and so I needed to find a way to make the topic fit with a book I'd read recently. Sadly I've not read many science fiction books lately, and the books I've been reading in general don't have a ton of science-y concepts to them, let alone ideas that fit my theme. However, this book did the trick! All of the chaos and natural disasters that occurred on Themyscira can be likened to what we're experiencing in the world (especially in the United States/surrounding areas) today. Today, I'm going to talk a little bit about hurricanes and flooding. In essence, the categories are based on the Saffir-Simpson Hurricane wind scale, which is based on the sustained winds of the storm. Category 3 and up are considered "major hurricanes". It is estimated that the damage caused by Hurricane Harvey is greater than $70 billion (USD). Economic losses could add up to as much as $200 billion. Houston, TX. Air Force photo by Tech. Sgt. Larry E. Reid Jr. The hurricane itself left a trail of destruction, include massive amounts of flooding. There were pictures of water reaching traffic light fixtures, roofs of houses, even to overpasses of highways. Hurricane Harvey caused what is called a "500-year flood", and this flood was the third in three years. In fact, there was 1000-year flooding occurring in many areas of Houston. One of the common misconceptions about this terminology that I've seen is that "500-year flood" means the flood occurs once every 500 years. A 500-year flood is a flood that has a 1/500 chance of occurring in a year, i.e. a 0.2% chance of occurring during a calendar year. A 1000-year flood is a flood that has a 0.1% chance of occurring in a year. It's different than saying "a once-in-500 years flood". The same applies to storms (i.e. 100-year storm event, 500-year storm event, etc.). Storms and hurricanes are different though, in technical terms. Storms and floods are different too, though the terminology for the percent chance is the same. As a hydraulic engineer, it is important for me to know about 10-year storms, 25-year storms, and especially 100-year storms. I design stormwater management facilities, underground pipe systems, and other means of water conveyance. In my experience with Maryland projects, pipes and facilities are designed to withstand the 10-year storm, sometimes up to the 100-year storm, if the location is within the 100-year floodplain. Of course, this is in Maryland and not Texas; even within Maryland, there are different requirements for designing for a storm event. In one county, it might be the 1-year storm; in another county, it might by the 10-year storm. And within these counties, there might be a 100-year floodplain. You can see how it gets tricky. As I'm typing this post, Florida and many islands in the Caribbean are being hit by Hurricane Irma, a Category 3 (formerly Category 4) hurricane. Following closely is Hurricane Jose, which is currently a Category 4 hurricane (though it may become Category 5), and Hurricane Katia, a Category 1 hurricane. You can see the formation and trajectories of these storms HERE. I'm thinking about and thanking all of the brave men and women who went above and beyond to help with rescue efforts in Houston, and those who will in Florida, surrounding states, and neighboring Caribbean islands. There are many charities and places to donate, if you have it in your heart to do so. Carter BloodCare and Texas Diaper Bank are two local organizations. JJ Watt has a fund set up, as do many people on GoFundMe. Be careful and avoid scams though - see THIS New York Times post about that (and it has other charities and organizations linked). Also, several YA authors have been collecting books. Talk to Becky Wallace and Sara B. Larson if you'd like to help. I know there are others out there, but these two ladies are who I can think of at this time. 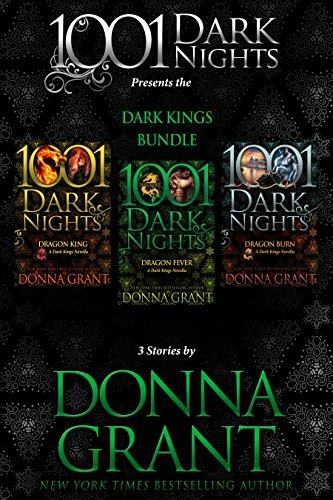 Additionally, Donna Grant is an author who had to evacuate and lost just about everything, 1,001 Dark Nights, who recently published her latest book Dragon Burn (which I LOVED and highly recommend), is running a promotion for a bundle of three of Grant's novellas with 1,001 Dark Nights. 100% of the funds collected will go to Donna Grant. If you're a romance reader, please consider buying this bundle. Not only are these Grant books super good and scorching hot and about DRAGONS - this is also a very good cause (and an excellent price). I'll be thinking of and praying for everyone in the path of Hurricane Irma. I know many people who will be affected and I hope that this storm will downgrade and diminish quickly. Readers, tell me: was this post helpful, in terms of understanding hurricane categories? Floods and their terminology? Mother nature can be a beast, and she is definitely showing her full fury right now. This was a really informative post. I know a little bit about meteorological things from when I was teaching (a special topics class, spent weeks on global warming), but I learn some new stuff too, so, thank you. I think it's so awful what's happening right now. And living in Belgium it's all kinda hard to understand it all because we never have hurricanes and such. They show it on the news of course but there's not a lot of explanation around it. So this post was really helpful to me. And I hope everyone will stay safe.